Leekworth Caravan & Camping Park (now with FREE WiFi), offers superb caravan & camping facilities plus, a stone built self-catering Shepherds Cottage and a new facility the Stargazer Lotus Belle Tent. 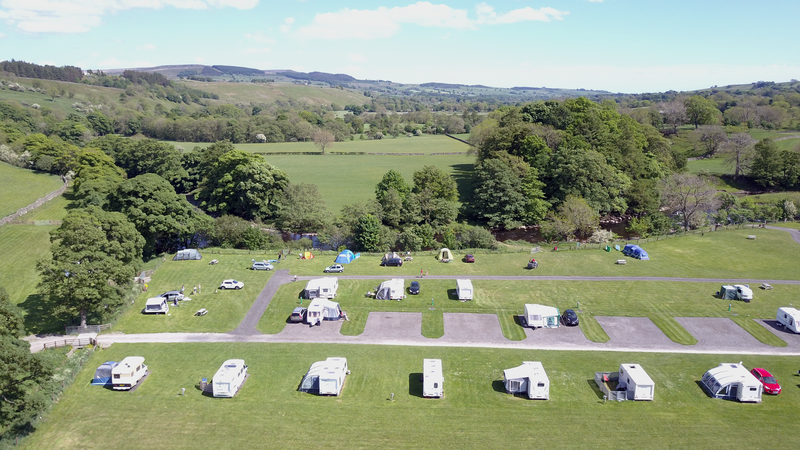 Leekworth Caravan & Camping Park is situated on the outskirts of the historic market village of Middleton in Teesdale, and very close to Barnard Castle. The stunning natural beauty of the North Pennines surrounds our site and is set on the banks of the River Tees. The famous Teesdale Way cuts alongside the site joining onto the Pennine Way and Middleton village centre, with its country shops and cafes, is only a 10 minute walk away. With fantastic facilities on site including 1000 meters of free fishing on the River Tees, (you must have a rod licence) and the surrounding area offering miles and miles of footpaths to explore the glorious countryside, museums, garden, attractions and so much more, we are confident that your stay will be one to remember. We now have an adult only section with limited pitches available, you have to be quick to book these. We do a lot of amazing things here at Leekworth Caravan and Camping Site in Teesdale, all managed and maintained by the Brough family. Robin, the owner, who is helped by his Mam Liz, and his Nana Lorna, all of whom have immense pride in their work to help you have an amazing time. Nothing is too much trouble for this family team, who strive to bring you the best holiday in the whole of County Durham. The Leekworth Caravan & Camping Park has electric hook-up hardstand pitches and caters for caravans, motorhomes, and tents. We also offer seasonal pitches, pitch and store and winter storage. We have a newly built reception/shop and the newly built shower and toilet block has underfloor heating throughout. We have a strict no noise policy after 10.30pm. Due to the narrow entry lane, arrival is strictly no earlier than 1.30pm. Arrival is from 1.30pm – 8.00pm Sunday to Thursday and 1.30pm – 9.00pm Friday and Saturday. Departure is no later than 12 noon.